为什么中国拥有世界上最多的长途高铁？ [美国媒体] Why does China have the most long-distance high speed railroads in the world? Why does China have the most long-distance high speed railroads in the world? The economics of high-speed rail are driven by utilization, and population density is one of the key factors driving capacity utilization. At 145 per sq. km, China ranks 27th in the world in population density, over 4x the United States. If you ignore the relatively inhospitable two-thirds of the country in the west, it ranks even higher — some entire Chinese provinces (i.e. including farmland and rural areas) are denser than large American cities. High-speed rail is a significant upgrade from the existing long-haul bus and “normal” rail lines. Along the spectrum of transportation options, it fills a large gap between bus and air travel. Land acquisition is relatively “efficient”. Land acquisition is often the most troublesome or costly part of rail projects. This is doubly true for high-speed rail, where tracks need to be relatively straight in order to achieve such high speeds. In China, largely due to a lower emphasis on individual property rights, it is relatively easy to acquire the necessary right-of-way for high-speed rail tracks. 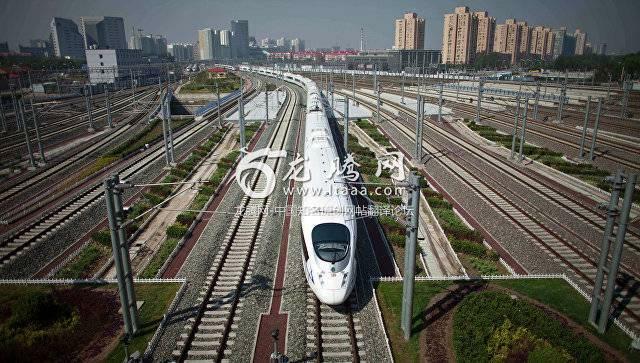 High-speed rail was deemed strategic and received priority attention from policymakers. China knew it was soon-to-be the world’s largest importer of crude oil, half of which is used for transportation. Policymakers wanted to reduce the economy’s dependence on this scarce resource. I think high-speed rail makes a lot of sense for India and the Mumbai to Ahmedabad corridor looks like it would be a good one to start with. The question is one of execution. If you go down the points I listed, India shares similar characteristics (high population density, pattern of urban/rural development) but it is (currently) lacking in others (lack of domestic technology, difficult land acquisition process, high interest rates etc.). It will need to address some of these in order to build out HSR on a massive scale like China has done.